Starbucks brings back the Maple Pecan Latte and introduces new Cold Foam Dark Cocoa Nitro for a limited time, while supplies last. The Maple Pecan Latte features espresso and milk mixed with maple pecan sauce and crowned with autumn sugar topping. This year, they've introduced a new Iced with Cold Foam version that comes topped with a layer of cold-frothed non-fat milk. You can also get it hot or as a Frappuccino. 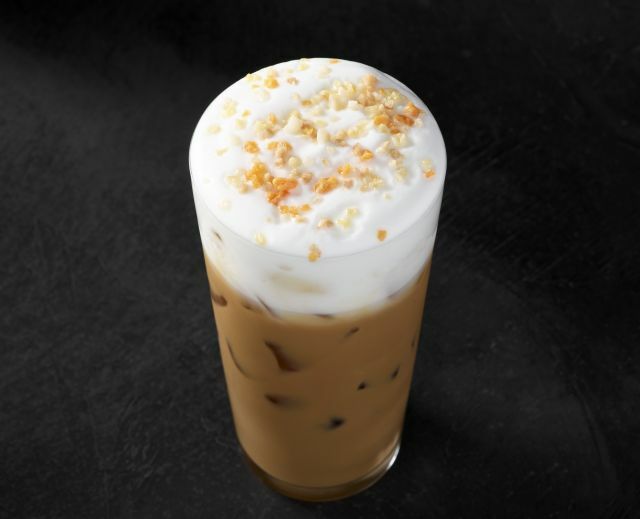 If you're looking to try it at a discount, they're running a Starbucks Happy Hour deal for 50% off any grande or larger handcrafted espresso beverage this Thursday, September 20, 2018, after 3 PM, for Starbucks Rewards members (and non-members if you RSVP for an invite at starbucks.com/happyhour). At locations that serve the chain's Nitro Cold Brew, you can get the new Cold Foam Dark Cocoa Nitro, which features Nitro Cold Brew topped with bittersweet cocoa Cold Foam.